Freedom, balance, and abundant life are a few milestones for a Living Wellness lifestyle. Christina Zaczkowski and Ashley Darkenwald began Living Wellness Live as a way to reach more people. The show has a live audience and is filmed and produced! Our message is one that of hope and encouragement to those desiring to live a healthy holistic healthy lifestyle. We believe you don’t have to sacrifice enjoyment of life to be healthy-- you can have both! The three components of the Living Wellness Live show include an interesting and insightful interview, a "body" segment, and a kitchen segment. We have en educational bent and an inspirational message about wholistic health. We hope you'll enjoy the show! Click here to go to the link from Facebook Live or stay tuned to for the edited version. You can read more about our guests here. The recipes are below are extra special because restaurant owners usually do NOT share their secrets. But Phil and Diane from Pour are AMAZING and have shared a few recipes from their BRAND NEW Sunday brunch menu. I highly encourage you to check out their brunch at Pour Wine Bar and Bistro at either the Otsego or Champlin location*. I've had it a few times myself and I've been delighted! Keep reading for the recipes! On the day, God created avocados he must have thought, “Let us create a fruit that can powerfully help prevent and combat disease, endless in its uses, and that tastes awesome!” Voila, the avocado was made, and it was good, really good. I bet you knew that avocados are good for you but I wonder if you had any clue of HOW GOOD they are for you and your family? They are so good, basically the only thing they cannot do is watch your kids for you. Okay, and also, they will not do your dishes either. But everything else, they can do. On this very special day, Mother's Day, we want to share with you a recipe that's as sweet as mom :) We're back again for another post in our series Veggies You Never Thought You'd Love. Type this title into our search bar to find all the other delicious and nutritious recipes in this series. So with this month's recipe, I wanted you Moms (and everyone else too!) to have your veggie recipe but also have your dessert too. Have you ever heard of a dessert with a veggie in it other than carrot cake? I haven't! As I mentioned in this post, my son is muffin crazy, and it brings me so much joy to see my kiddo go crazy for something I've made that is healthy too. This spring, I started experimenting with some egg-free Paleo muffin recipes for his birthday party. I'm typically pretty good at adding the main components of a recipe on my grocery list, but this particular recipe I ran out of a few ingredients and had to improvise. The result was mouthwatering! What was once a pretty decent Paleo chocolate chip muffin, elevated into this chocolate peanut buttery goodness that melted in my mouth, completely masking the fact I was eating a veggie I didn't like: pumpkin! What's even better? They're super easy to make. Honestly the hardest part was scooping the peanut and almond butter from the bottom of the jars! Oh and I forgot to mention, my son loved them too! 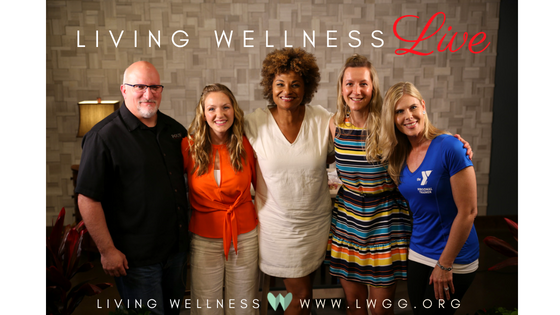 What an amazing Living Wellness LIVE Episode 3 we had this past Friday! We had such a great time learning from Stefanie Peters from Lady Boss Empire, Carisa Rasmussen from Clean & Lean, and Kelley Suggs from Lithe Wellness Solutions. If you weren't able to join our fun live audience and want to see the show, check out the full show here! Also, if you missed our show in-person, you can still enjoy the amazing THREE course meal Kelley Suggs made by recreating those simple yet super flavorful dishes in your own kitchen. All three recipes are below! For those of you who are not familiar with Kelley Suggs, she is a two-time guest on the Living Wellness LIVE show and certified health education specialist (CHES) at Lithe Wellness Solutions. You can learn much more about Kelley here! Recently while grocery shopping, I noticed chicken broth was on sale. I love me a good sale (especially if you can get a case discount with it!) so I picked up a carton. Thankfully no one saw my disgusted face as I read the ingredients. I won't name any names, but I was disappointed that even a "natural" type of chicken broth had extra ingredients in it like natural coloring. Why did my stock need color added? Needless to say I put the carton back on the shelf and passed up the sale. You may be wondering why I would use chicken broth in a recipe when there are so many great health benefits of bone broth. Great question! I recently was prescribed to be on a low-histamine diet for a short period of time in order to decrease my overall histamine levels to manage some health concerns that flared up. Bone broth can actually be high in histamine. Normally the high histamine in bone broth is not a problem for most people, but for this particular diet modification I needed something with lower histamine. I decided to do a little researching and ultimately decided to make up my own recipe for chicken broth. Healthy eating has not always been something on my priority list nor was it something I was always willing to do. If I were to show my current diet to my 8-year-old self who often refused to eat anything except Campbell's Chunky Soup and Dinty Moore Stew (not making this up! ), my 8-year-old probably would have fainted. When I look at the changes I've made, whether by choice or by medical-necessity, I'm quite proud of how far I've come. One area though that I continue to struggle with and consequently see my toddler son struggle with being adventurous is veggies. Choose any color of the rainbow and there are a multitude of veggies with amazing nutritional value. I know how amazing broccoli is with it's calcium and vitamin C, Brussels sprouts with their manganese and vitamin B's, and sweet potato with it's vitamin A. I know how amazing veggies are for you, but that isn't always enough to challenge my palate to take a bite. As a former picker-eater and mother of a picker-eater, AND lover of honoring my body with nourishing foods, I'm excited to share with you a series of recipes I've developed over the years that have become a hit in our family and helped us to eat more veggies. 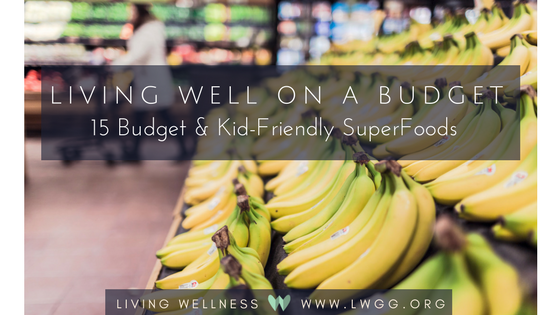 I'd also like to share with you a simple tip each post in this series how to help your kiddos (or yourself) becoming more adventurous with their eating! 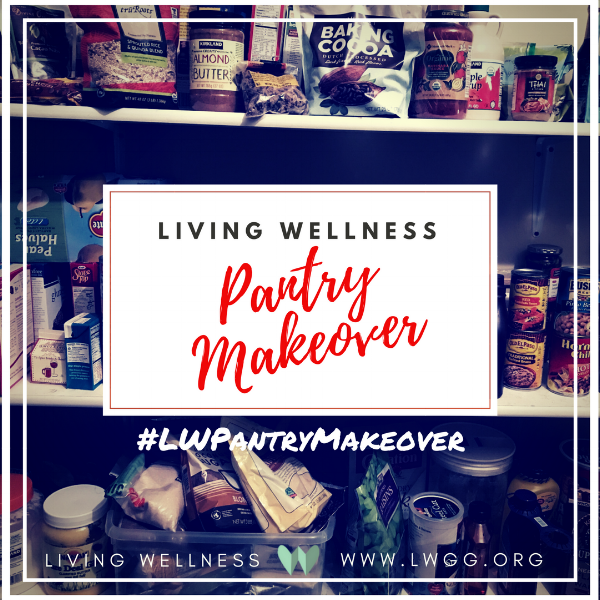 Today on the Living Wellness Blog we're excited to bring our second Living Wellness LIVE show into your own kitchen with two amazing recipes! Living Wellness Facilitator Bill Evans created these fabulous dishes for us this past Friday at Living Wellness LIVE. Check out the full recap video here including the cute story about the title for the Grandpa Apples' recipe below. Trying new dishes and sharing them with others are some of Bill's favorite parts of cooking, but even more so, Bill has said that he loves finding foods that taste good and nourish our bodies at the same time. So, without further ado, here's two delicious and nourishing recipes. Enjoy! I love fall for many reasons, but one of my favorite parts of fall is the harvest. Fresh squash, apples, potatoes, garlic, and. . . pumpkins! I have especially enjoyed making all sorts of pumpkin recipes over the years. Every where you turn it seems you see a new product with pumpkin spice! With only 49 calories per cup, pumpkin is loaded with vitamin A, vitamin C, vitamin E, potassium, and more! Sorry to break it to you, fresh pumpkin is what is loaded with these amazing nutrients...probably not the "pumpkin" in the coffee shop pumpkin spiced latte. Fresh pumpkin puree also has fiber and protein! This health food is tasty and versatile. Move over green eggs and ham, there's a new dish on the breakfast menu: Green Egg Burrito! Today we're excited to share with you quick and nutritious breakfast recipe that is super easy to customize and is sure to fill you up! We've likely all heard someone say that breakfast is most important meal of day, but is it really? Does it really make a difference if we take a moment to pause and "break the fast" to eat breakfast? The truth is yes, breakfast really is important, especially for those who want to maintain or lose weight: "The decision about if and what to eat and drink at the start of the day has been shown to have some profound effects on our health, well-being, and cognitive performance" (Spence, 2017). Ivy (2017) also provides an excellent summary of the current research on why breakfast is important. He reports that "breakfast is the most satiating [hunger satisfying] meal of the day. This satiating-effect can impact food consumption for the entire day...Therefore, eating a larger breakfast and reducing the blood cortisol level lowers appetite and reduces daily caloric intake."